DANVERS - Robert J. 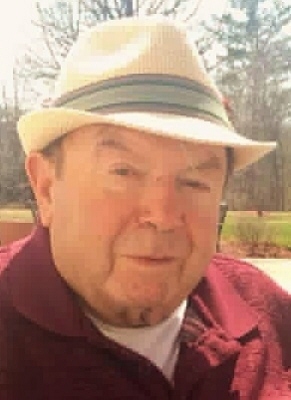 “Bob” Trask, 75, died Wednesday, October 24, 2018 surrounded by his loving family at the Kaplan Family Hospice House in Danvers following an extended illness. He was the beloved husband of Linda L. (Mailhoit) Trask. Born in Beverly on January 26, 1943, he was the son of the late Frederick Trask and Helen (Taylor) Youden and her husband, Clayton “Bucky” Youden. He was a graduate of Beverly High School class of 1962 and had resided in Beverly most of his life before moving to Danvers ten years ago. A U.S. Navy veteran of the Vietnam War, he served in the Seabees before being honorably discharged in 1968. Bob was employed as a contract specialist with the Mass. Highway Dept. for the Comm. Of Mass. for over thirty years before his retirement. He was a former member of the Northeast Surf Patrol, Salem Moose Family Center and the A.P. Gardner Post #194, American Legion in Hamilton. He loved spending time boating on Long Lake in Naples, Maine and sitting and watching the boats at Popes Landing in Danvers. In addition to his wife of fifty-one years, he is survived by his loving daughter, Tracey L. Trask of Danvers; two sisters, Shelia Polizzi and her husband, Robert and Patricia Ottley; two sisters-in-law, Carol Remsen and her companion, Andrew Green and Cynthia Churchill and her husband, Kevin; three brothers-in-law, Robert Mailhoit, Don Mailhoit and his wife, Laurieann and Jack Mailhoit and many nieces and nephews. He was also predeceased by his in-laws, Raymond and Theresa Mailhoit and two brothers-in-law, Bruce Mailhoit and Francis Ottley. Bob’s family would like to thank the Danvers Fire Dept. for all their assistance during his recent illness. His funeral service will be held on Tuesday in the Campbell Funeral Home, 525 Cabot St., Beverly at 6 p.m. Visiting hours will be held prior to the service from 4 - 6 p.m. Relatives and friends are cordially invited to attend. In lieu of flowers, contributions may be made in his memory to Partner’s Healthcare at Home, c/o Development Office, 125 Nashua St., Boston, MA 02114 or to Care Dimensions, 75 Sylvan St., #B-102, Danvers, MA 01923. Information, directions and condolences at www.campbellfuneral.com . To send flowers or a remembrance gift to the family of Robert J. Trask, please visit our Tribute Store. "Email Address" would like to share the life celebration of Robert J. Trask. Click on the "link" to go to share a favorite memory or leave a condolence message for the family.